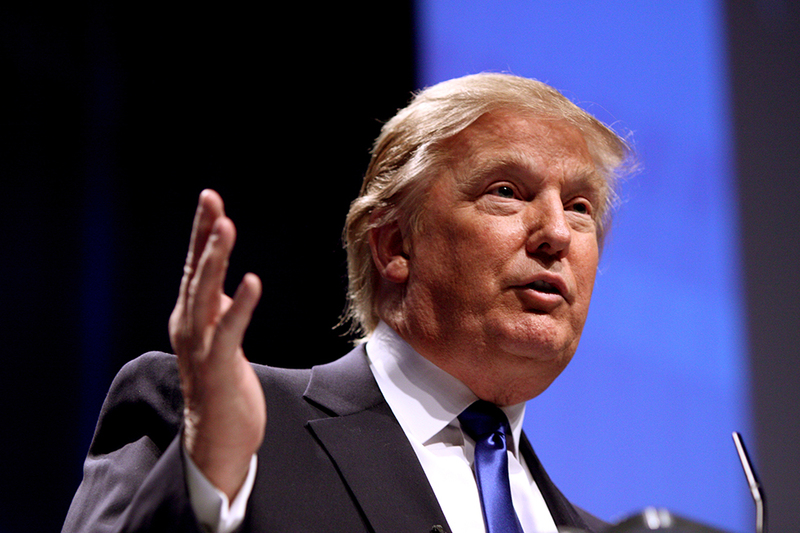 Recently, a critique of Donald Trump was made on the Technique in which several erroneous claims were made regarding the candidate. In this rebuttal, my goal is to be able to show these ideas to be false and prove the idea that Donald Trump could be an excellent candidate. The first claim regarding this opinion piece was that the only reason people listen to Donald Trump is because he has money and that “he may have billions, but we’re missing trillions.” The first problem I have with this idea is that it makes little to no sense. No one individual possesses enough money to solve the U.S. debt problem, and the idea that Donald Trump, because he has money, is supposed to be the one who will do it using his own personal funds, is rather ridiculous. Not only that, but Donald Trump is a candidate which had said he will cut spending, promote economic welfare and ­­­work towards a balanced budget. Yes, he does have billions, but he is not expected to reduce U.S. deficits. Also, the idea that a candidate should be mistrusted because they possess large sums of money is also rather ridiculous. All presidents in recent history have been millionaires, and many of their families are worth many times that of an average individual. As Forbes reports, the Kennedy family is worth over a billion dollars, yet nobody states that JFK was a horrible presidents simply because he possessed great sums of money nor does anyone have an inherent mistrust of the Kennedys as a result of their wealth. Moreover, money is not strictly the reason why individuals support Donald Trump. If money was the only reason for his support, than other candidates would be leading the polls. As Forbes and Statistical report, Jeb Bush has raised over $114 million, Cruz over $52 and Clinton over $63. Even Bernie Sanders, a generic socialist who hates corporations had raised over $15.2 million. Compare that with Trump who has raised only a fraction of that amount and has spent even less than that on advertising and you see the person who has spent the least money has gained the most in polls. There are several reasons why individuals support Donald Trump, and it’s simply not because of the fact that he has money. Donald Trump is unique as a politician because he is not politically correct (PC). For years, both Republicans and Democrats have strayed away from their party platforms and have gone against the Constitution. Life has become increasingly worse for the average American, and the unenthused voters that have begun to dominate politics. The views of the average working-class American have not been represented, while the views of special interest groups or political organizations have. Then, out of nowhere, comes Donald Trump. Brash style, extremely conservative and an individual who has no qualms about speaking on any topic. This is perhaps the most bizarre claim because all individuals have had both success and failures. The author of the opinion piece points out too many of Trump’s failures but what about all of his successes? His successful run on the stock market, the creation of Trump Tower, the fact that the man has invested hundreds of millions into American corporations and has net yields much higher than a standard institutional investor. Although Donald Trump has had several business errors in the past, he has also has just as many successes in the business world. Also, let’s once again look back to other candidates. What about Obama’s horrible business decisions or Clinton’s “Whitewater?” Yet nobody believed that these individuals were incapable of running the national economy despite the fact that they were unable to run their own businesses. Business mistakes and successes are often more than simply a byproduct of the decisions of a board of members, and Donald Trump has shown that he can successfully manage a majority of his businesses or else we would still not refer to him as Donald Trump. One other point, though not mentioned in the scope of the original article, is the idea that Trump is not a real conservative. The idea that a formerly liberal president cannot be a good president is perhaps best shown to be false by Ronald Reagan. Reagan was the classical “limousine-leftist” back during his acting days. He supported unions and more government intervention, yet looking back on his legacy, many believe him to be one of the greatest conservative presidents of the modern era. Also, if Trump’s plan was to infiltrate the Republican party then his plan has radically backfired. His presence on the national stage has rallied Republican party members, getting them fired up and more politically active more likely to vote for conservatism than in the last several years. The last and final concern I had with the original article was the notion that Trump is not qualified for being president because he is so rude, disrespectful and racist. what an individual thinks or feels. Feelings are irrelevant to emotions. Where does it say in the constitution that a president must be PC and eloquent for running for the presidency? His brash style goes directly to the heart of the content — the heart of the debate. Trump does not mind instigating, and he delivers responses that get the message across effectively. His views and his style are things many people love because unlike so many other individuals, he represents the American ideal of not backing down from a challenge. Additionally, when Trump is wrong, he admits that his fault and changes his views in a respectable manner. The only incidences in which he gets rather heated is when others ask silly questions and propagandistic questions. “Journalists” Jorge Ramos and Megan Kelley are illegitimate and liars, and, because of this, they get Trump’s wrath. They are rude to him, and thus, he is equally rude back. One only has to look to other media sources to see that Trump can be a rational and effective talker in a non-rude manner. with a biased agenda in mind. One note that should be made is that those who actually think that Trump will talk with a similar disrespect to foreign dignitaries are mistaken in their view of Trump. Trump, a man of business, has often had to talk with other individuals in the business world, and the fact that he is a successful businessman only shows that he can talk to people in a professional and respectable sense when he knows the situation warrants that style of language. He is fully capable of controlling his mouth and, thus, is capable of talking effectively and calm with other individuals. Trump is truly a dark horse. He came out of nowhere and has captured the heart and mind of the nation so effectively. The real reason why others continually attempt to insult and demean Trump is because they have not seen anyone like him in such a long time. A man in politics who is willing to say what he wants and do what he wants is fighting to generations of voters who have been force-fed PC politicians who lack any back-bone. Trump will not only be a great candidate, but he may be the president that the nation needs.